It feels like it has been so long since we have done a giveaway! I can't believe time has slipped away like it has, because I feel like it has been since February! It's really a shame because we love showing our readers (you!) how much we love them and we have been slacking. So! In order to make up for this, we have decided to host a giveaway! 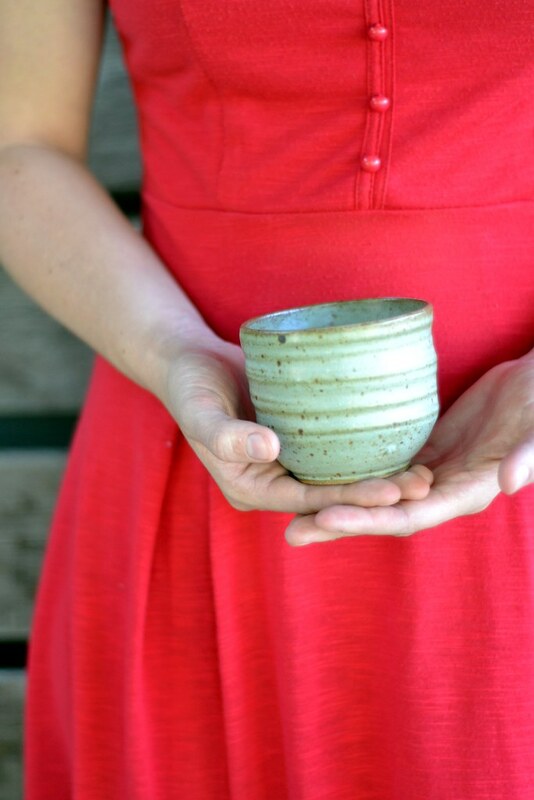 One lucky reader will win this adorable little tea bowl made by yours truly (Leah). 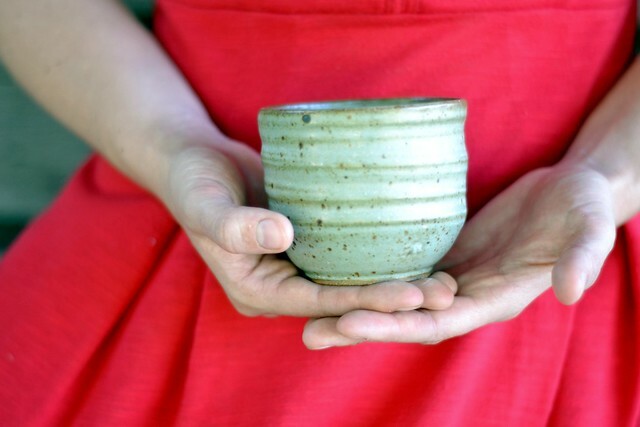 These tea bowls have endless uses including more obvious ones such as drinking tea or other liquids, but they also can be used for planting little succulents, storing make up or jewelry and much more! Who ever wins can use their imagination to come up with one of these endless purposes for their very own tea bowl. 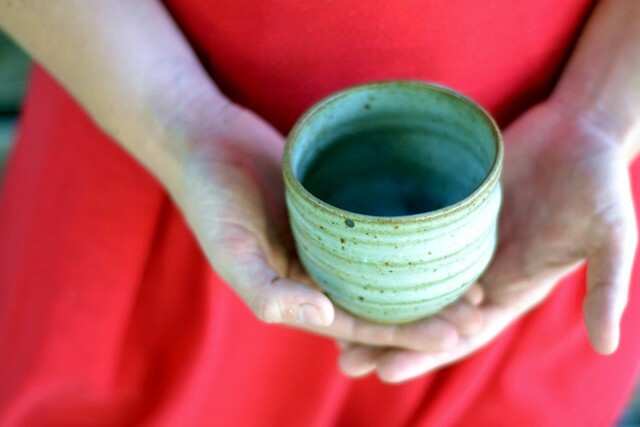 #2 Pin a picture from this post and add the caption "Tea Bowl Giveaway on E plus l"
Please leave a comment telling us you have done one of these! This will be how we pick the winner. If you choose to do both please leave two separate comments, one for each possible way to enter. Good luck to all of you! We will announce the winner on Monday. I have pinned from this post! AND I follow you gals on Bloglovin'. It was so great to see you gals last week! Keep having an awesome summer. Girls! I got your back! I also follow (stalk) you on Bloglovin'!